Katerina has an enthusiastic work ethic and her strengths as a communicator and administrator along with her experience in property are integral to the success that is DPA. Katerina’s expanding knowledge of the real estate market and its growth, is based on her ongoing training and the informed choices she is confidently making, which always result in client satisfaction. Her dynamic and efficient approach to work, mirrors the urban paced lifestyle, whilst maintaining the security and needs of her clients. 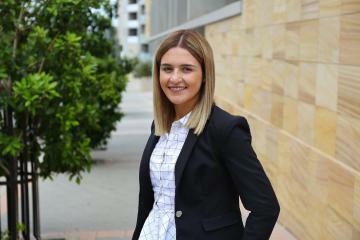 Katerina channels her helpful, insightful nature towards her growing passion and value for property.